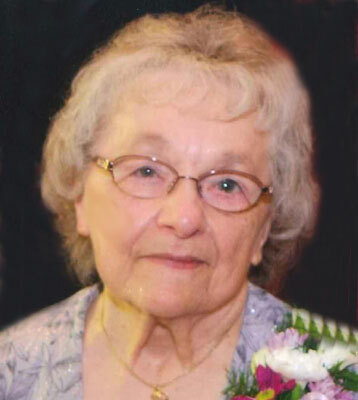 AUSTINTOWN – A Mass of Christian Burial will be held at 11 a.m. on Friday, July 10, at St. Joseph the Provider Church for Veronica Helen Rudiak Dattilo, 87, formerly of Campbell, who passed away Wednesday morning, July 8, 2015, surrounded by her loving family. She was born July 1, 1928, in Campbell, a daughter of the late Michael and Mary (Kostecky) Rudiak. Veronica was a 1946 graduate of Campbell Memorial High School. Veronica married Robert Dattilo Sr. on May 8, 1948. Robert passed away on Oct. 23, 1996. Veronica was a loving wife and mother to her children. She was an avid crocheter, loved spending time with her family, and especially with her great-grandchildren. Veronica is survived by her beloved four children, Robert (Hyon) Dattilo Jr., Teresa Churilla, Kathleen (Richard) Dobos, and David (Linda) Dattilo; her two sisters, Lottie Perkins of Maryland and Catherine Varacall of Youngstown; seven grandchildren; and 10 great-grandchildren. In addition to her parents and husband, Veronica was preceded in death by her two sisters, Mary Zoblesien and Helen Rudiak; and one brother, Joseph Rudjak. Family and friends may attend a Mass of Christian Burial on Friday, July 10, at 11 a.m. at St. Joseph the Provider Church, 633 Porter Ave. in Campbell. Please share your memories of Veronica.